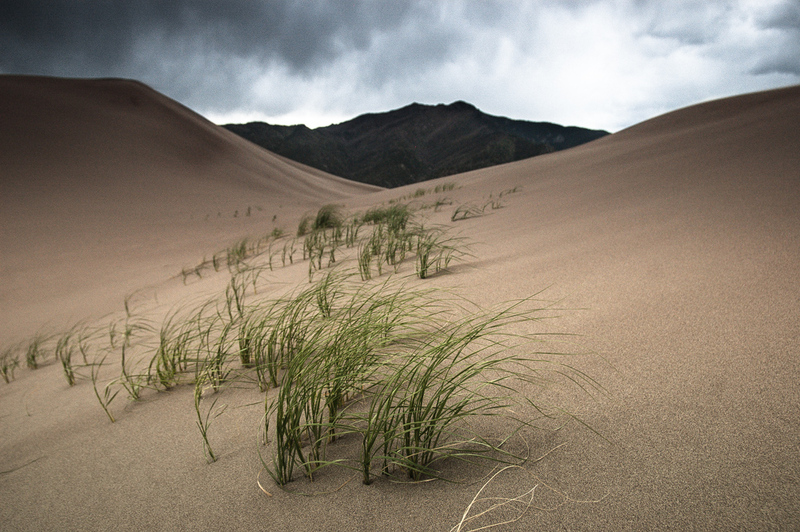 Wild grasses clinging to the dunes in sheltered areas at The Great Sand Dunes. San Luis Vally, Colorado. I am always fascinated seeing something grow in those harsh conditions. What a beauty, so well done.